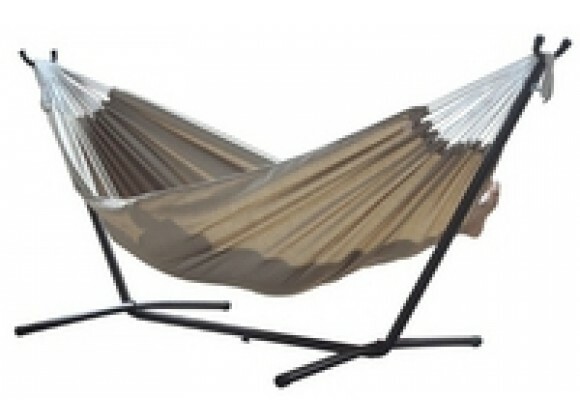 Double hammock is made durable with Sunbrella Acrylic Fabric - designed to last for years - is UV and Moisture resistant. The Heavy Duty Steel Stand incldues an easy-assemble feature - allowing it to stand in minutes without tools. Case included, convenient for moving to any location.